British Petroleum, the Government and BlackRock – the Connection? After initially talking tough, the relationship between British Petroleum and the government has seemed rather conciliatory. The low oil estimates and other data released to the public from the FDA, EPA and NOAA benefits BP while BP’s unwillingness to release anything returns the favor. The water is safe for fishing. The seafood is safe for eating. There is no oil to be found. When BP decides to scale back the cleanup, the government doesn’t protest. This despite numerous reports from the Gulf’s front lines that all is not well. Oil is in the bays, in the marshes. People are getting sick from the chemicals. Oil has entered the food chain as evidenced by studies of the blue crab. British Petroleum is still keeping reporters out, the government still says little about it. Not to be outdone by BP’s purchase and silencing of Gulf Coast scientists, the NRDA (National Resource Damage Assessment) also restricts independent scientists from studying the region. Information is controlled. Government facts don’t sync with direct evidence. The narrative of “things are now okay” is pushed, and pushed hard by the Feds, all for the benefit of British Petroleum. One possible explanation could be an investment firm named BlackRock and their CEO, Larry Fink. 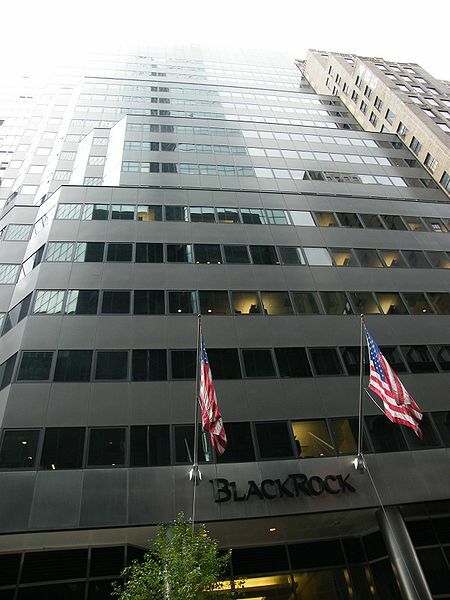 BlackRock is a global investment management firm based in New York City and it is the largest money manager in the world. As of June 30th, 2010 BlackRock’s assets under management totaled $4.151 trillion across equity, fixed income real estate and advisory strategies. They offer risk management and enterprise investment system services to a broad base of clients with portfolios totaling approximately $9 trillion dollars. Also, they are the largest shareholder of British Petroleum stock. Also, the United States Government, form of Fannie Mae, Freddie Mac and the New York Fed is one of their biggest clients. To those on Wall Street and in the government, BlackRock and Fink were heroes of the 2008 financial crisis and the bailout that followed. BlackRock oversees $130 billion in toxic assets for the U.S. government (assets the government took on in the course of the bailouts)…During the crisis, Fink was the man everyone on Wall Street and in the U.S. government turned to for advice. Underestimating the amount of oil released would save BP millions in Clean Water Act fines. Underestimating the amount of oil left saves BP in Natural Resource Damages penalties. As of June, BP investors had lost 88 billion dollars when BP’s stock closed at $31.85 in New York trading, down from $60 dollars a share before the Deepwater Horizon explosion. BlackRock holds more than 1.1 billion shares, or 6 percent of the shares so their investors are the ones taking the biggest bath in the sinking of British Petroleum stock. Doing the math, it would seem that good news in the Gulf is not only good news for BP, it is really good news for BlackRock. Yesterday, the stock closed at $38 per share. This makes Larry Fink happy. It doesn’t matter that the estimates of oil released into the gulf is low. It also doesn’t matter that the government’s estimates of how much oil remains in the Gulf is ridiculous. Distorted truth and lies about the latter and the Gulf’s quick, false recovery makes big money for BlackRock and its investors. Too bad it comes at the expense of Gulf Coast residents. Not only do they continue to struggle, they have to live every day with the truth. Previous Post Spine to spare? Please donate to the FCC, act now!